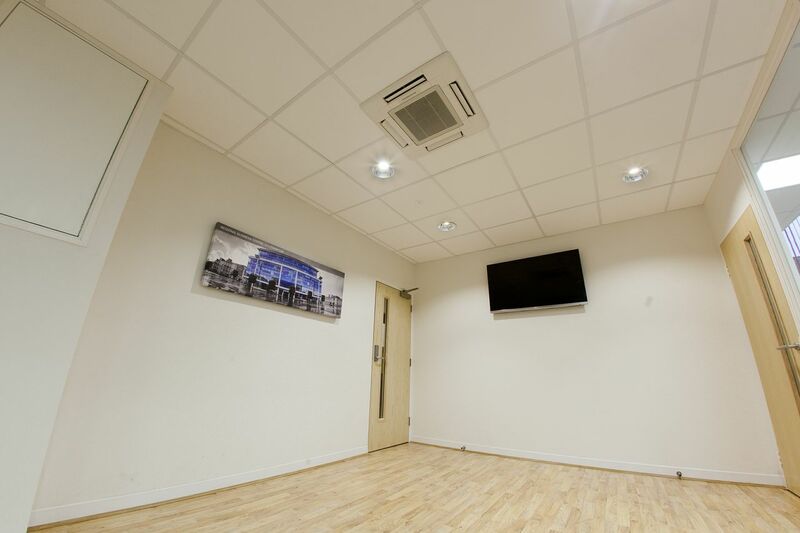 In need of more workspace within your office and considering an extension or moving premises? 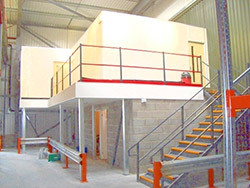 Have you considered a mezzanine floor? Hampshire Mezzanine Floors have a more cost and logistically effective option that may be of interest to you. By expanding your office space upwards, you can continue to make use of and almost double your current workspace. Take advantage of additional floor space on your current premises, as a more cost-effective option than relocating or expanding premises. If you’re interested to find out how you could develop your current internal office space for a fresh new look that is both cost-effective and a productive use of space, then give us a call or request a quote. Everything we do here at HMF is done to the highest of standards. We have a talented and professional team with a range of skills, who are here to help you with all of your building needs. Whether that be fitting new windows or kitchenettes and toilets, give our professional team of building experts a call. Partitioning is a great option for creating separate workspace areas. We consider both the business’s needs as well as those using the working space in the effort to improve the working environment. Our partitioning is available in many shapes, sizes and styles including fixed or relocatable partitioning. You can find out more about office partitioning here. It is important that you choose flooring that supports the workload of your business environment. We understand that every business is different, so we have a range of flooring options for you to choose from including carpet, vinyl, laminate and epoxy flooring. Explore our range of flooring options here. 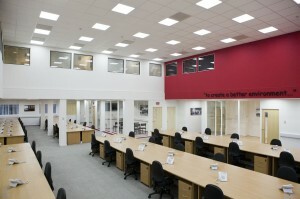 A ceiling is a popular choice for many mezzanine office refurbs. It often gives an added element of privacy as well as creating that ‘finished’ look. Hampshire Mezzanine Floor’s design team will assist you in making an informed decision about the most appropriate ceiling choice for your space. Choose from a suspended, plasterboard, curved or open grid ceiling. Find out more here. The majority of new mezzanines will require a range of electrical installations, including mains distribution, fire alarms, security systems and emergency lighting. Receive guidance and support for all of your electrical installation needs. Rest assured that all installations are carried out by NIC EIC approved and qualified electricians. Develop an office space that employees are comfortable and safe working in. Not only will we design and install any mechanical installation that you require, but we will also maintain your equipment after installation. We provide and install air conditioning units, ventilation, heating systems, plumbing and sprinkler installation. Every office needs furniture. Complete the look and fill your new office space with furniture from HMF’s office furniture collection. 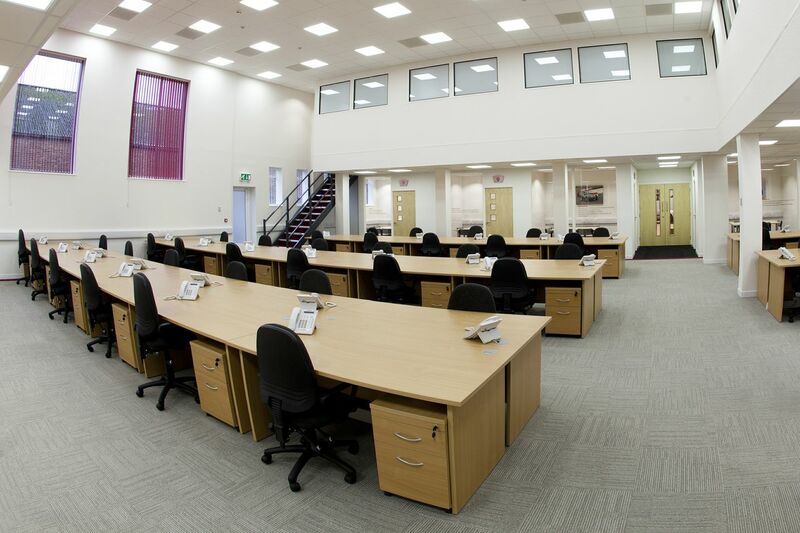 We have a range of styles for you to choose from, including executive suite furniture and furniture for open-plan office spaces. Explore more here or request a catalogue. 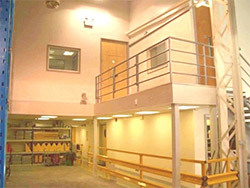 Could your office benefit from a mezzanine floor? Contact us to speak to a dedicated mezzanine flooring expert. A member of our project team will visit your premises to discuss your requirements, and assist you in planning a suitable layout that will both compliment and maximize the utilization of your current space. To support you in achieving your goals, full-service support will be provided from start to finish. We are passionate about producing a high-quality finish whilst ensuring that our pricing is practical. Our work will always conform to all necessary requirements, laws and legislation, and structural safety is our paramount concern. You can rely on Hampshire Mezzanine Floors to provide a professional standard of service.